New Forest National Park is a wonderful place to be. Located less than 2 hours drive from London, the national park is a beautiful blend of ancient woodland and open heathlands, a number of wildlife attractions, museums and other points of interest within the park. Whatever the season you are visiting in, there is always something to see and do in the national park. And located in New Forest National Park is Careys Manor Hotel, a hotel which we visited a couple of weeks back. Careys Manor Hotel is one of the best places from where you can explore New Forest. 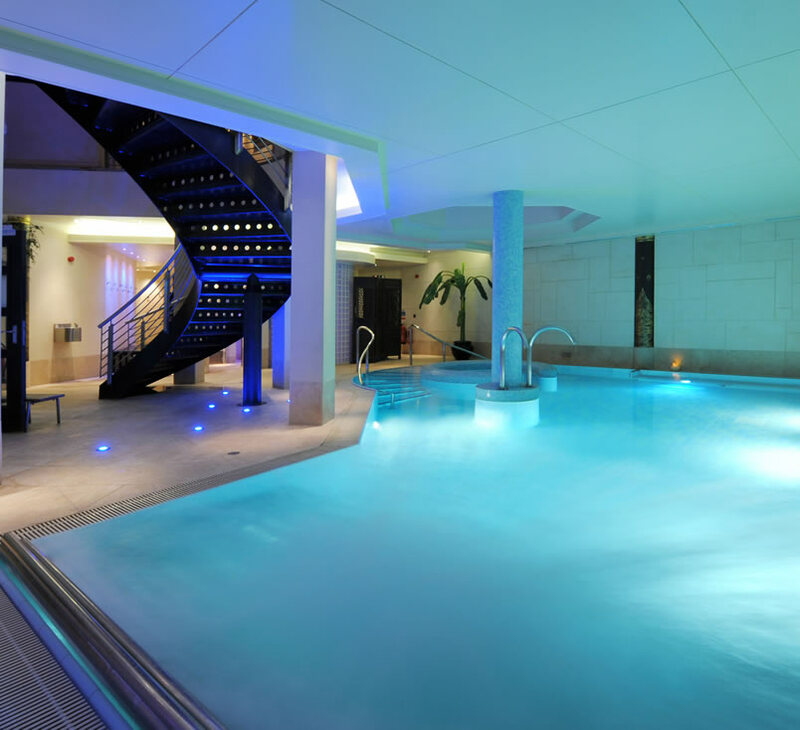 With 77 luxurious bedrooms and suites, an award winning spa (SenSpa), 3 restaurants and 4-star award winning service, Careys Manor is the perfect place to unwind. Not only is the hotel set amid the peaceful surrounds of beautiful New Forest, its warm and inviting atmosphere is guaranteed to leave you totally relaxed. We stayed in one of the Oakwood Garden Rooms which is located in the garden wing of the hotel. Beautifully designed with luxury and comfort in mind, the room offered wonderful views of the garden. The room was spacious and seating was provided by a comfortable sofa. A small circular table and chair were also provided in addition to a desk. The bed was supremely comfortable (super-king size) and as there was no problem of noise or light coming in through gaps in the drapes, we enjoyed a good nights sleep. Our room was on the first floor and we had a Juliette door overlooking the garden. The sliding glass door was perfect for letting some fresh air in. The room had an air conditioning unit but we turned it off as the weather was perfect when we visited. The Oakwood Garden Rooms on the ground floor have a patio leading onto the lawns. Our room was airy and well lit by natural light. I liked the contemporary lights in the room - they were glare-free and cast beautiful little shadows on the walls. I also liked the use of reflective surface (especially on the headboard) - it subtly enhanced the lighting while also creating a visual impact. All mod cons that you would expect in a hotel room - flat screen TV, free Wi-Fi, tea making facilities, ironing facilities, hair dryer, safe etc. - were provided. The en-suite bathroom was compact but well designed and spotlessly clean. Fluffy towels, bathrobes, slippers and The White Company toiletries were provided. 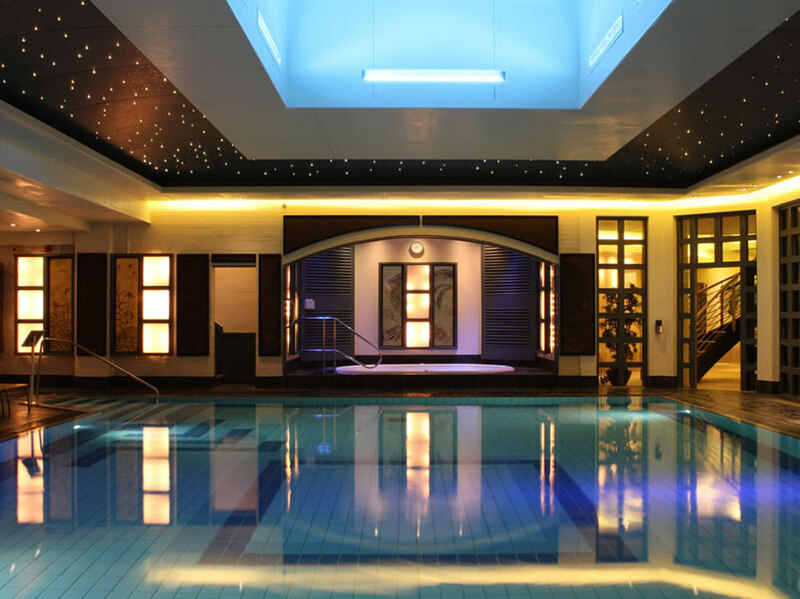 All guests at the hotel have free access to leisure facilities including an ozone treated indoor swimming pool, poolside sauna, Jacuzzi, steam room and the fitness suite. You can also enjoy the hydrotherapy facilities (hydrotherapy pool, thermal treatment rooms and relaxation areas) at SenSpa for an additional charge. The treatments at the spa are quite popular, so it is advisable to book your treatments in advance. Whether it was the well-appointed lounges or the beautifully maintained gardens, all public spaces in the hotel made for a pleasant spot for the guests to relax. Zen Garden - a Thai restaurant. Dinner at Zen Garden was excellent. The menu was varied and catered to all tastes. We were happy to see a lot of options for vegetarians. Our starter was the Zen Garden Vegetarian Ruam Mid - a selection of starters for 2 that included Spring Rolls, Tempura vegetables, Taro Fritter and an absolutely delicious Papaya Salad. For the main course I opted for Phad Si-Ew Pak which was Thai style wok fried noodles with egg, seasonal veggies and sweet soy sauce. The husband chose Phad Thai Pak which was also Thai style wok fried noodles but with bean sprouts, egg and cashew nut. The presentation of this dish was lovely. The food was delicious and the portions generous. We were quite full after the main course, so opted to share the dessert which was Baitiey Pancake - Thai pancake with Coconut and Black Sesame seeds served with the most delicious Vanilla ice cream I have tasted in a long time. The food was lovely, the ambience great and the service was good too. 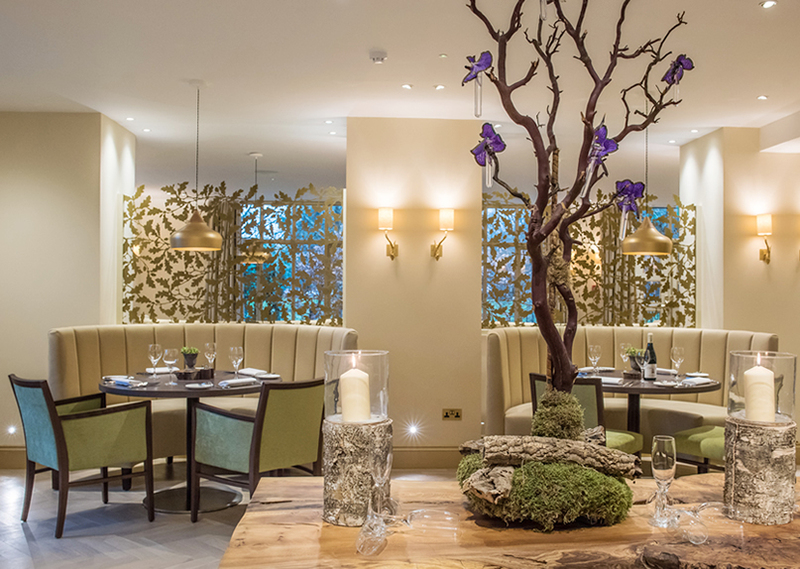 If you love Thai food, then Zen Garden is not to be missed if you are in New Forest. Our breakfast at Cambium was also good - a varied buffet offered seasonal fresh fruit, cereals, natural yoghurt and a selection of pastries alongside fruit juices and other regular beverages. Hot breakfast was cooked fresh to order. Careys Manor is a wonderful place to enjoy a holiday in New Forest. There are many picturesque villages nearby and a wealth of places to visit and explore in the New Forest. The Bolderwood Deer Sanctuary is nearby and makes for a great day out. You can carry a picnic and spend the entire day exploring the numerous waymarked trails or just relax in the sun. The sanctuary also gives a chance to get close to the Fallow deer which live in and around Bolderwood. The National Motor Museum in Beaulieu is less than 20 minutes away. A ticket to the museum also allows you admission to other attractions within the estate like - Palace House, Beaulieu Abbey, World of Top Gear, the Victorian Flower and Kitchen gardens and unlimited rides on the Monorail and Veteran Bus. Other attractions nearby include the New Forest Reptile Centre, the New Forest Wildlife Park, Bucklers Hard, Calshot Activity Centre, Exbury Gardens and Paulton's Park to name a few. There are a number of ways to enjoy the forest. There is an extensive network of cycle routes for those who love cycling. The forest also has many designated car parks where you could leave your car and then head out on one of the many walking trails. You may spot free roaming animals like cattle, donkeys, sheep, pigs and the famous New Forest ponies. Right from check-in to check-out, we had a wonderful time at Careys Manor. The facilities at the hotel were very good, the food and service excellent and all the staff we encountered were friendly and helpful. The location of the hotel is ideal for exploring the New Forest. Prices for the Oakwood Rooms start from £279 per night based on 2 adults sharing a double or twin room. Small Knightwood Rooms which are perfect for the single traveller or couples staying for a short break are priced from £199 per night. Suites are priced from £319 per night. You can find out more about the different room types and their tariffs here. *We were guests of Careys Manor Hotel. However, all views expressed are (as always) solely our own. It is a lovely place. I am sure you will love it. Great review. I love this hotel and it would be a perfect base to explore. Sadly from looking on their website it is not somewhere I could stay with my children.